MICRORISC is focused on research, development, delivering technologies and hi-tech components to electronics manufacturers. 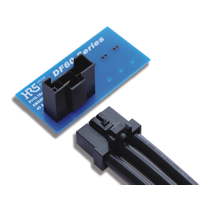 Besides custom development and development of the wireless technology IQRF we offer hi-tech components such as Microchip, Fujitsu, Hirose, Kinetic, Formike, Neoway and Circuit Design. MICRORISC is an authorized distributor of Hirose for Eastern Europe, Russia, Middle East and Africa since April 2008. MICRORISC is capable of providing anything from simple technical support to complex product design for electronic and electromechanical applications. Hirose Electric Co., Ltd is a world-class Japanese manufacturer of high quality connectors, with sales of over €1 billion to customers worldwide. 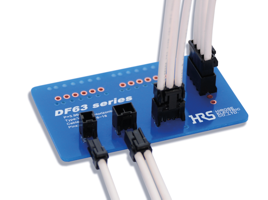 Established in 1937, Hirose uses advanced engineering services, excellent customer service and worldwide manufacturing capabilities to provide technically advanced connector solutions for many industries including: industrial, automotive, consumer, computer and telecommunications. See all the products in detail at Hirose webpage. 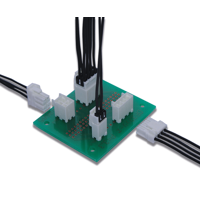 Examples of MICRORISC custom development and other projects are available in our References.